After my somewhat dark post about being a Free Software maintainer, a very significant number of people got in touch and asked how can they help me, and GNOME, more actively than saying “keep up the good work, we love y’all”. And so I thought that maybe we are not advertising well enough the various ways to contribute to GNOME beyond actually getting involved with the daily activities of the project. The potentially most effective way to help GNOME is by donating to the GNOME Foundation and spreading the word. GNOME Foundation has two donation programs: one-time donations, and Friend of GNOME. Becoming a Friend of GNOME is my favorite. The Friends of GNOME donation program is a monthly subscription where you can select a community member. The selected member will send you a thank you post card. Did you know that I can be adopted as a hacker through Friends of GNOME? Not only me but various other great community members! I’m happy to say that many Friends of GNOME adopted me already! Naturally, I’m supposed to send thank you postcards. I think our Friends should be properly rewarded for helping Free Software. Brazil has a rich and dynamic culture, with lots of influences from Portugal, Spain, Italy, various african “countries” (thinking of Africa in terms of countries is somewhat wrong; countries were defined by europeans, and do not represent the cultural diversity of Africa) and Asia. And I love that we have wide range of artistic and cultural production that covers this diversity. It happens that I have a long-time contact with the Okinawan community in Brazil, and know a local Brazilian/Okinawan artist that can create fantastic pieces blending those different cultures. You can check her work at @jay_ceramicas on Instagram (and you should, her work is absolutely fantastic). If you appreciate art, and her art in special, consider requesting her artwork! I asked her to create different pieces for our Friends of GNOME. The process started with defining the topic of the art that will be produced. We agreed on representing simultaneously the Brazilian and the Okinawan culture, with the elements that intersect both. Our Friends deserve unique and handcrafted pieces, and that’s what we did. Next step is preparing the box. First, the essentials: it should feel GNOME, smell GNOME. Since the box may travel across oceans, let’s ensure the safety of the arts. But that’s not enough. Our Friends chose GNOME to help, so I think it’s safe to assume they would like to show they’re GNOME users. Or at least GNOME supporters. So good set of stickers is a great addition! The gift box is looking even better now! Having stickers is excellent, but I don’t want them to turn into a mess when our Friends receive their boxes. At this point, the boxes look pretty much ready. But they aren’t! It’s so important to express gratitude. I’m grateful for our Friends to have adopted me, and I want to tell them that. And now we have something deliverable! And that way, I feel like I’m properly rewarding those who take the next step and, even without the time or the knowledge or the energy to be involved with GNOME, still contribute to the future of the project and of Free Software. Thanks for supporting Free Software and GNOME. I have a few highlights, comments and thoughts I would like to share about this release, and since I own this blog, well, let me do it publicly! But people were telling me that these changes were game changing. There is a grey line between the actual improvements, and people just happy and overly excited about it. And I thought the latter was the case. But then I installed the non-debug packages from Arch repositories and this is actually a game changer release. I probably got used to using Mutter and GNOME Shell manually compiled with all the debug and development junk, and didn’t really notice how better it became. A lot of effort was put into modernizing GNOME Music, and it is absolutely paying off. It is more stable, better, and I believe it has reached the point where adding new features won’t drive contributors insane. Google Drive (and a few other Google websites) would be subtly broken. Both issues seem to be fixed now! In fact, as you can see from the previous screenshot, I am writing this post from Web. Which makes me super happy. Even though I cannot use it 100% of the time (mainly due to online banking and Google Meets), I will experiment making it my main browser for a few weeks and see how it goes. As I write this, I am getting ready for next week’s Parental Controls & Metered Data Hackfest in London. We will discuss and try to land in GNOME some downstream features available at Endless OS. I’m also mentally preparing for the Content Apps Hackfest. And GUADEC. It is somewhat hard once you realize you have travel anxiety, and every week before traveling is a psychological war. This was a peculiar release to me. Besides that, I am close to finishing moving to a new home! This is an ongoing process, slow and steady, it is becoming something I am growing to love and feel like home. Your face might resemble this one in the left (avatar-default) as much as it could be pretty much everyone else using the same computer as you. 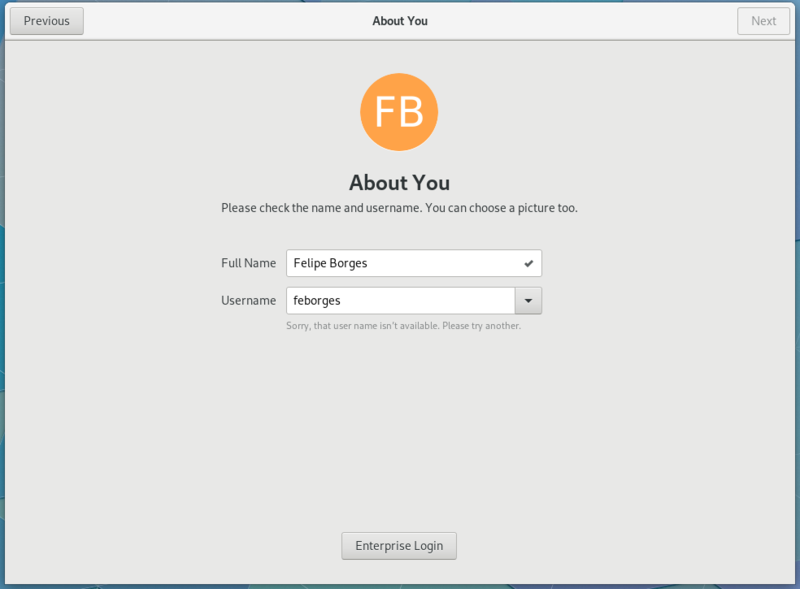 With this in mind, we introduced a small feature in GNOME 3.32 that intends to make it easier for users to identify themselves in a list of system users, such as in the login screen or in Settings. 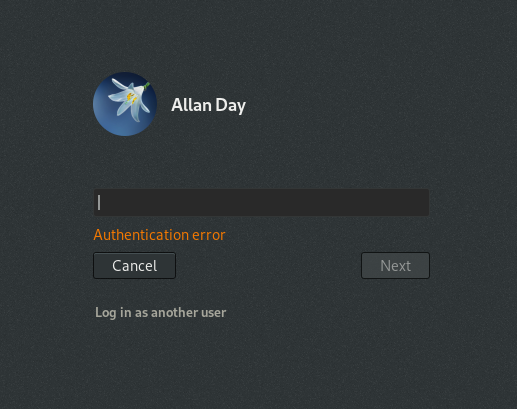 From now on, GNOME won’t set the “avatar-default” icon for users created in the Initial Setup or in Setting. It will create a colourful image with the user’s initials on it. The colour palette is the same used in the new icon guidelines (if you haven’t heard yet, we are living now a Big App Icon Revolution in GNOME!). User names (full names) are mapped to colours in the palette, and therefore are consistent everywhere you enter the exact full user name. So get used to your colour! Select a picture with a file chooser. Take a picture with your webcam. Select one of the GNOME stock avatars. 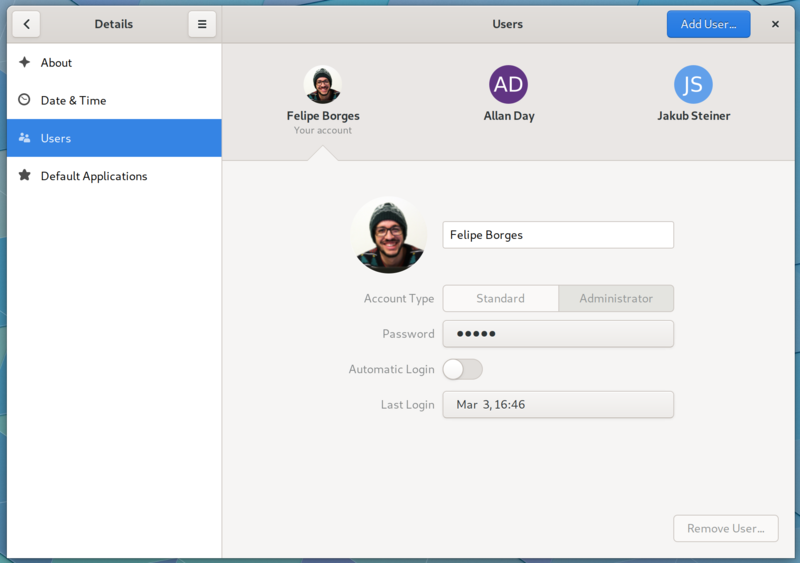 Another detail that came with these changes is that now user images will be rounded everywhere in GNOME. These efforts are part of the “Consistent user images across GNOME” initiative. Last month I attended DevConf CZ for the third time. The conference has been growing a lot in the last years and it has been attracting a wider variety of people. It is a free-admission conference in the lovely Brno, Czech Republic, the place that I now call home. If you haven’t attended it yet, you should definitely consider it for next year. This year I had a talk titled “Running virtual machines in the Flatpak sandbox”, where I described the process of Flatpaking GNOME Boxes. There’s a video available on YouTube. We had a small Desktop track on Friday afternoon with a good amount of talks about Flatpak. The audience was engaged and interested in the topics. 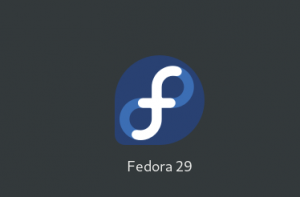 Besides of my talk, Owen Taylor spoke about the state of Flatpaks in Fedora and Jiří Janoušek spoke about the Linux fragmentation and how Flatpak can tackle the problem. Last but not least, Kalev Lamber told us what’s new in gnome-software. 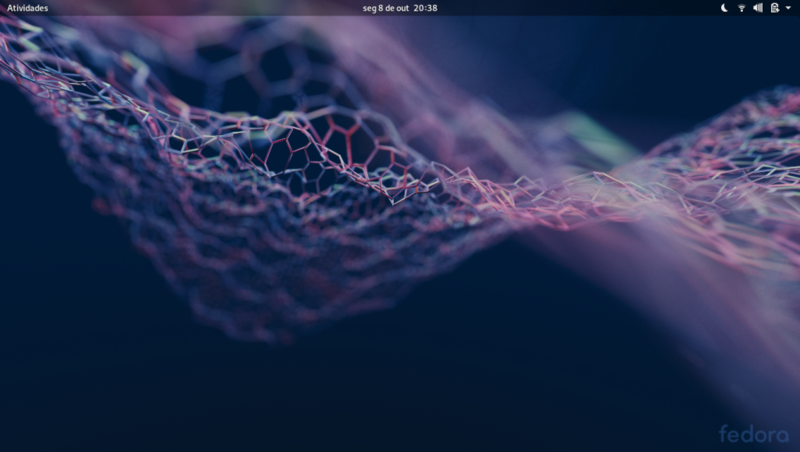 Before deep diving into the more extensive architectural changes that I’ve been working on GNOME Shell and Mutter, let’s take a moment to highlight the latest changes to GNOME Settings. Being the (co)maintainer of Settings for a full year now, the development pace has been great so far. I would go as far as to say that the project is healthy and sustainable now. The shared maintainership model that we adopted allows us to decrease the review time, and yet make sure that every single contribution is reviewed by at least one maintainer. 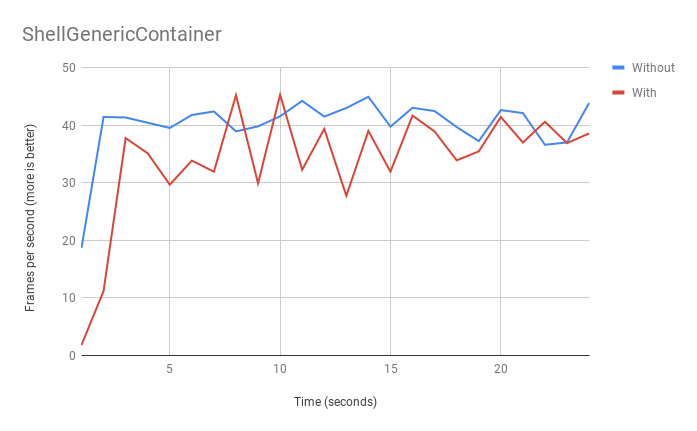 Looking at the numbers, we managed to review 110 merge requests targeting 3.32 (and more if we consider the ones targeting 3.30 as well!). That is almost one merge request reviewed and merged every single day. Considering that this is mostly composed of volunteer work, I am comfortable to say that we found a very efficient maintainership model. Without further ado, let’s see what happened during this cycle. The new Applications panel showing information and settings of a Flatpak-based application. Flatpak-based applications naturally have more system integration points. There are ongoing ideas being discussed about which other integration points should be, but nothing settled so far. Non-Flatpak applications don’t have as many controllable integration points. There are more immediate improvements that will land before GNOME 3.32 release, but it’s a great addition already. Redesigned Sound panel with a vertical layout and better organization of the options. Thanks to the awesome work of Outreachy intern Clarissa Borges, we have user testing results of this new layout. And they look pretty damn good! Overall, the testing clearly shows how much of an improvement the redesigned panel is. The Display panel is one of the hardest ones to deal with. Mostly because the almost entirety of the UI is programatically done. This was incredibly annoying, since it is somewhat hard to replace bits of the code with template widget without accidentally changing a lot of code. Thanks to Benjamin Berg, however, this is not a problem anymore: the Display panel now uses modern best practices and is composed of smaller widgets. A new monitor scale widget is also on the way, although it potentially can be postponed to GNOME 3.34. Thanks to the hard work of these and many other awesome contributors, GNOME Settings is improving the way users can control their systems. But these are not the only improvements that will be part of 3.32, and of course, there is much more being targeted to 3.34! It’s been more than 6 months that I do not write in this space. Honestly, that’s the longest period of silence I’ve ever had. There are various factors that, combined, ended up causing this period of seclusion. Learning about new, massive projects (GNOME Shell, Mutter and GNOME Settings) is one of them. Moving to a new home and marriage is another. After finishing Masters last year, I have spent the time working with Endless full-time, and dedicating myself to parallel projects, such as Japanese language, music, gardening, and martial arts. It’s being wonderful, but that somehow distracted me from communicating changes to the community. And for that, my apologies. I’ll publish a series of blog posts talking about various GNOME-related activities that I’ve been involved since the last update. Hopefully they will be interesting enough. Jonh Wendell: Istio: O que acontece quando o painel de controle está inativo? Eu fiz alguns experimentos no Istio derrubando alguns componentes do painel de controle e observando o que acontece com os aplicativos e a mesh de serviço. Abaixo você encontrará minhas anotações. O Pilot é responsável pelo recurso de gerenciamento de tráfego do Istio e também é responsável por atualizar todos os sidecars com a configuração de mesh mais recente. Quando o Pilot inicia, ele escuta na porta 15010 (gRPC) e 8080 (HTTP legado). Quando o sidecar do aplicativo (Envoy, Istio-Proxy) é iniciado, ele se conecta ao pilot.istio-system:15010, obtém a configuração inicial e mantém-se conectado. Sempre que o pilot detecta uma alteração na mesh (ele monitora os recursos do kubernetes), ele envia uma nova configuração para o sidecars por meio dessa conexão gRPC. – Se o pilot cair, essa conexão do gRPC entre o piloto e o sidecar será perdida e os sidecars tentarão se reconectar ao pilot indefinidamente. – O tráfego não é afetado se o pilot estiver fora do ar, porque toda a configuração enviada para o sidecar reside na memória do sidecar. – Mudanças na mesh (como novos pods, regras, serviços, etc) não chegam aos sidecars, porque o pilot não está lá para ouvir mudanças e encaminhá-las para o sidecars. – Uma vez que o pilot está ativo novamente, os sidecars se conectam (porque estão sempre tentando se reconectar) a ele e pegam a configuração de mash mais recente. Policy aplica a política de rede. Mixer lê a configuração na inicialização e também monitora kubernetes para alterações. Uma vez que novas configurações são detectadas, o mixer as carrega em sua memória. Os sidecars verificam (chamam) o pod mixer policy para cada solicitação direcionada a aplicação (serviço). Se o pod mixer policy estiver inativo, todas as solicitações para o serviço falharão com um erro “503 UNAVAILABLE: no healthy upstream” – porque o sidecar não pôde se conectar ao pod policy. No Istio 1.1, há uma nova configuração (policyCheckFailOpen) [global] que permite uma política “Fail Open”, isto é, se o pod mixer policy não estiver alcançável, todas as requisições terão sucesso em vez de falhar com um erro 503. Por padrão, essa configuração está definida com false, isto é, “Fail Close”. Enquanto o mixer estiver inativo, tudo o que fazemos na mesh (como adicionar regras, alterar qualquer configuração, etc) não terá efeito nos aplicativos até que o mixer esteja ativo novamente. Telemetry fornece informações de telemetria para os addons. Os Sidecars chamam o pod Telemetry após cada solicitação ser concluída, fornecendo informações de telemetria aos adaptadores (Prometheus, etc). Ele faz isso em lotes de 100 solicitações ou 1 segundo (na configuração padrão), o que vier primeiro, para evitar chamadas excessivas ao pod Telemetry. Se o pod Telemetry estiver desativado, os sidecars registram um erro (no stderr do pod) e descartam as informações de telemetria. As solicitações não são afetadas por isso, como acontece quando o pod Policy está inativo. Uma vez que o pod Telemetry está ativo novamente, ele começa a receber informações de telemetria dos sidecars. Vale a pena observar que o Istio permite uma instalação personalizada de seus componentes de plano de controle. Por exemplo, se você não precisa de Policy, pode desabilitar totalmente o mixer policy. Essa modularidade está melhorando no Istio 1.1. Para mais informações, confira a documentação. Além disso, o pilot, mixer policy e a mixer telemetry funcionam bem em uma configuração de alta disponibilidade (HA), com várias réplicas sendo executadas ao mesmo tempo. Na verdade, a configuração padrão vem com um HorizontalPodAutoscaler que varia de 1 a 5 para esses pods. (Curioso? Veja isso e isso). Isaac Ferreira Filho: Um Novo Atalho no Evince. O que há por trás disso? Não sei se você está sabendo, mas a versão nova do Evince (3.30) está com um atalho bastante útil. Este post poderia parar por aqui, mas eu gostaria de escrever mais um pouco acerca do que está por trás de um simples atalho. 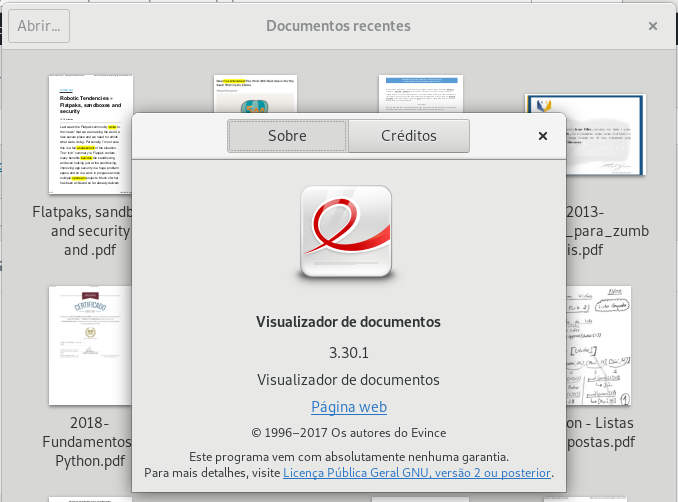 O Evince é um visualizador de documentos do GNOME. De acordo com a Wikipedia ele foi incluído no GNOME em sua versão 2.12. No meu dia a dia, de grande consumo de informações através de arquivos PDF, um bom leitor é fundamental. O Evince sempre supriu bem este papel, porém havia um ponto que me incomodava: a falta de um atalho para destacar as partes relevantes do texto. Para fazer isso eu tinha que utilizar o mouse, movimentando o cursor do texto até o botão de destaque, ou fazendo o contrário. Em conversas informais no canal do IRC do GNOME Brasil1, comentei que sentia falta deste recurso. Na época usava o Evince 3.28. Durante a conversa, o amigo Felipe Borges feborges pediu um tempinho e, em poucos minutos, disse que tinha implementado tal recurso e que ele viria, possivelmente, na próxima versão do Evince. Lembro que fiquei num misto de alegria e de espanto pela rapidez do processo e também pela consideração de feborges. Queria concluir este post agradecendo ao Felipe pelo recurso, mas também deixando uma reflexão sobre como o software livre e open source é produzido e melhorado. Acompanho, em muitos espaços, usuários reclamando da falta do recurso X ou do bug Y, porém pouca gente abre alguma issue para relatar algum bug ou propor alguma melhoria. Diversas vezes esse modelo de desenvolvimento de software é enquadrado em uma lógica diferente e sofre análises, muito deslocadas a meu ver, como se fosse um modelo proprietário. Mas isso é um papo para um outro post.